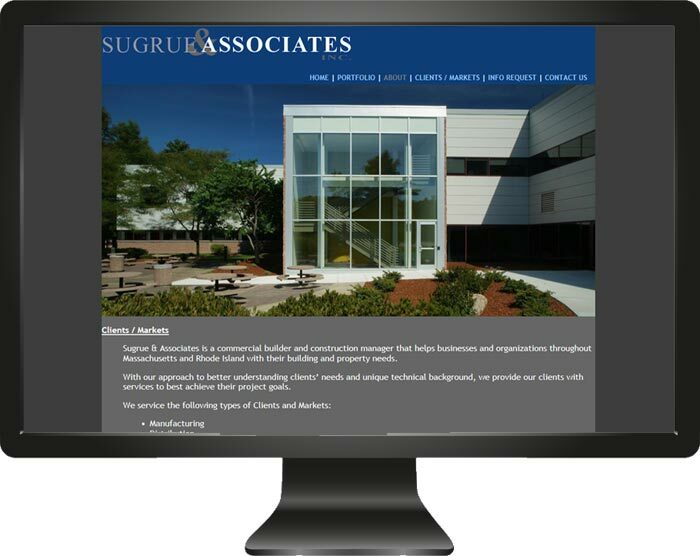 Sugrue & Associates, Inc. Has provided general contracting, construction management and civil engineering services throughout Southern New England since 1996. Sugrue & Associates came to me looking to revamp their old website. Through the design analysis process, I worked with Mike Sugrue to create a professional, easy to navigate website. Their new website was designed with a portfolio to highlight their construction management as well as information about their firm.